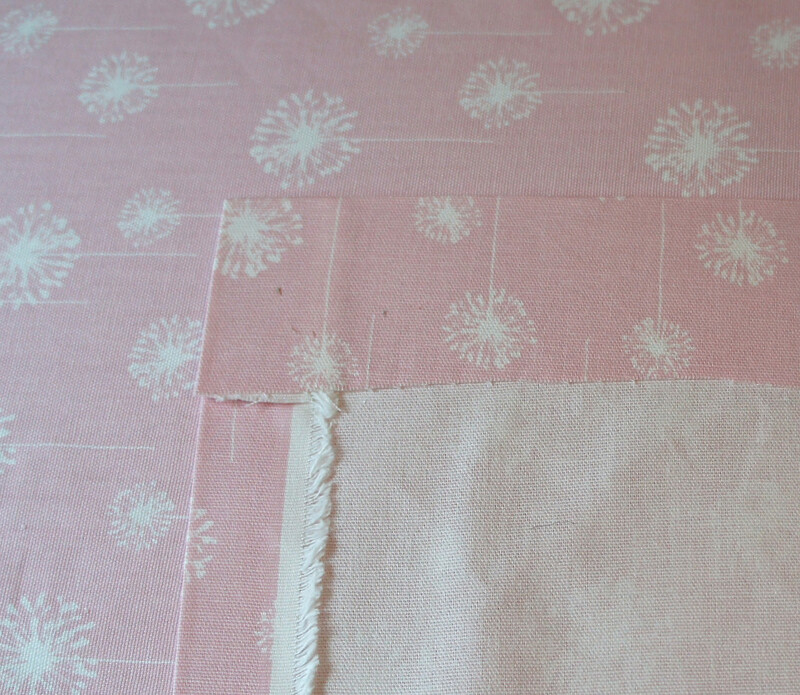 I think I’ve mentioned our the fabric we’re planning our nursery around half a dozen times on the blog, but without any accounting for how I plan on using it. Well, the day has come! 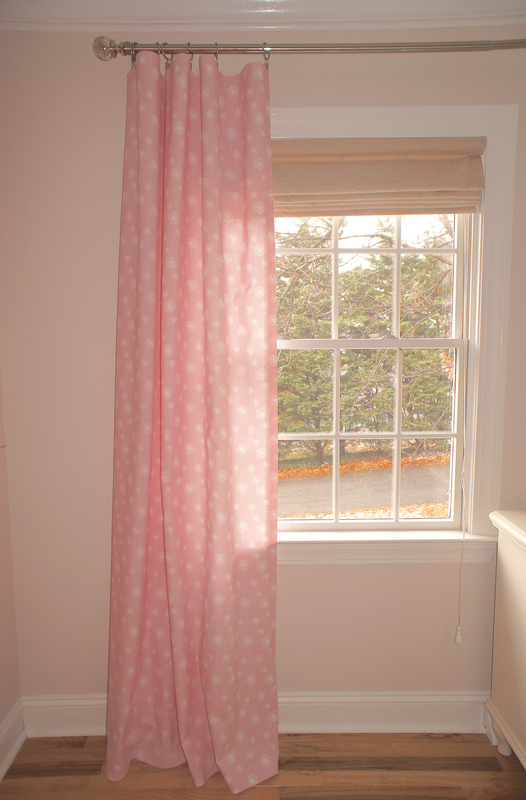 Curtains can get pricey, but they’re incredibly easy to make. 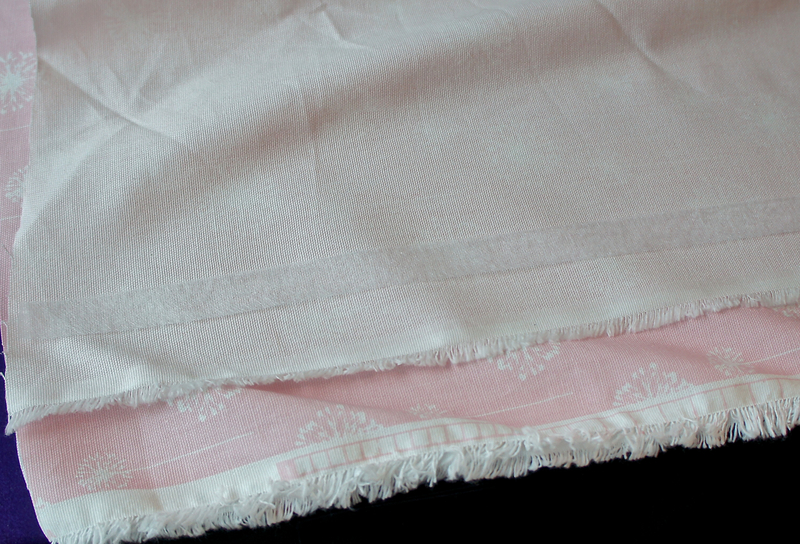 All you need is upholstery fabric (linen and cotton canvas are good choices). I really like Premier Prints upholstery fabrics from Fabric.com. 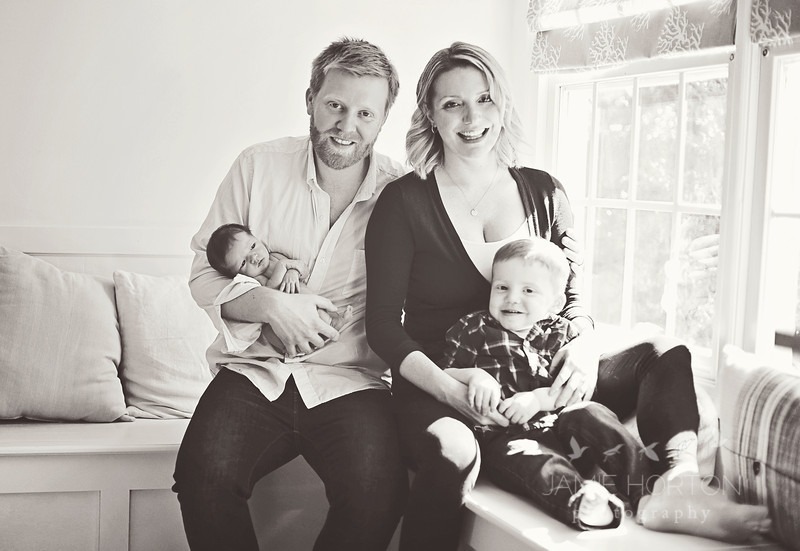 Their patterns are usually around $7 a yard and they have a huge assortment of modern prints. 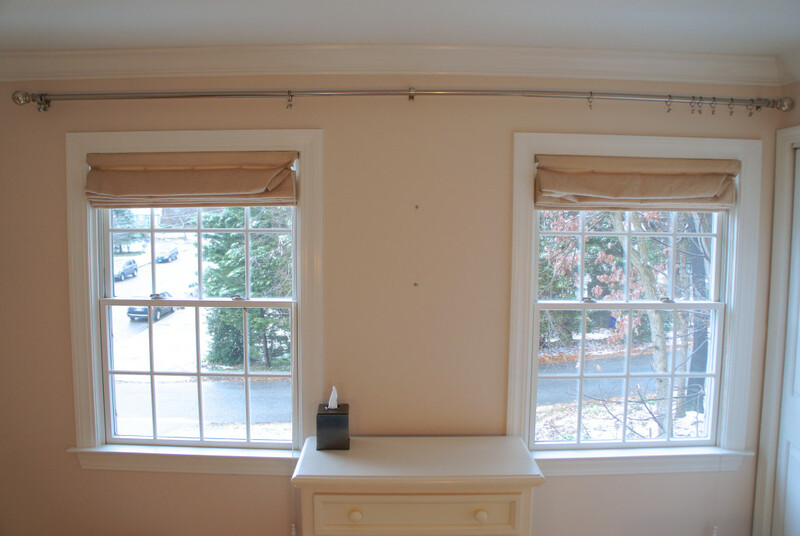 When I have two windows relatively close to one another, I like to use a long rod across both windows with one panel on either side to make the room feel more open. 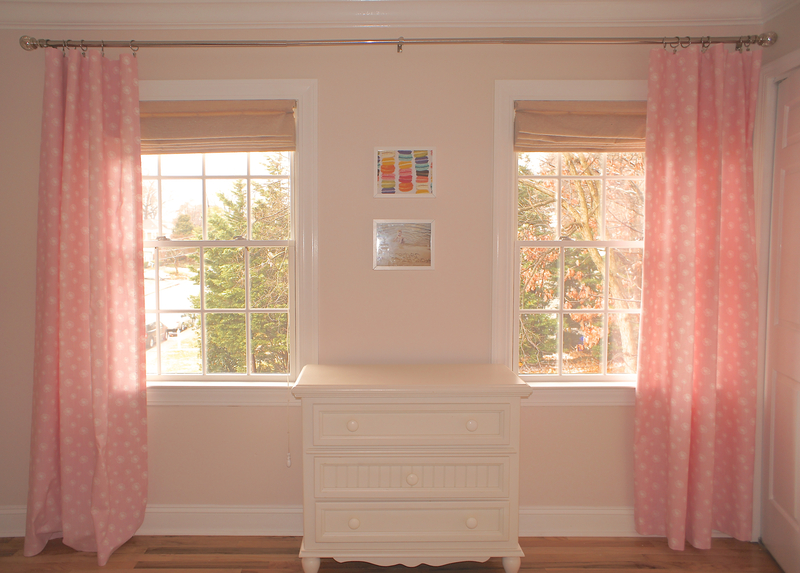 Two sets of curtains can overwhelm a small space, especially when working with a bold print. 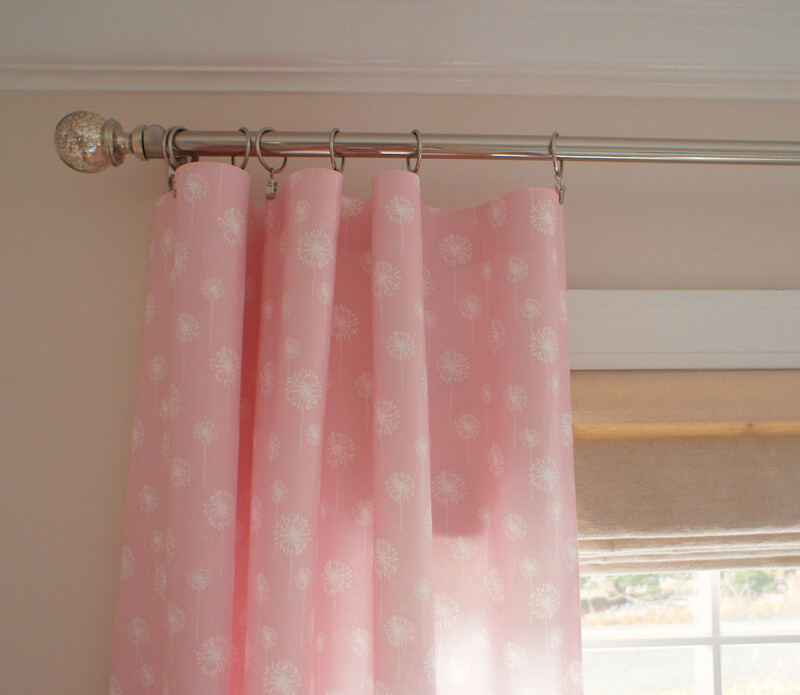 I also like to hang my curtain rods as close to the ceiling as possible to open up the room and add height. Before starting on the curtains themselves, I place curtain rings on the rods and measure from where the rings hang to about 1/2″ above the floor. In our case, we wanted each panel to be 85″. 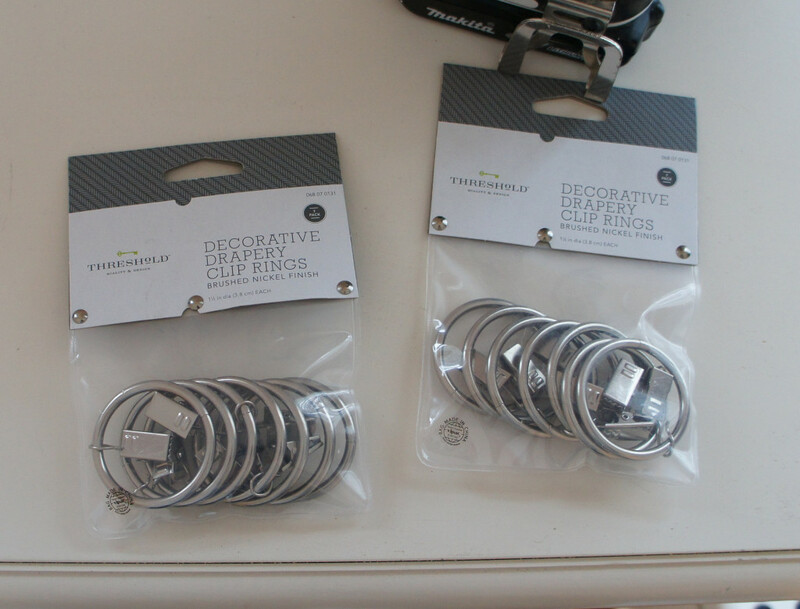 Amazon sells a great, thick, double set of rings for $11 that I used in Grant’s room, but they didn’t have the color I wanted, so I bought these at Target. 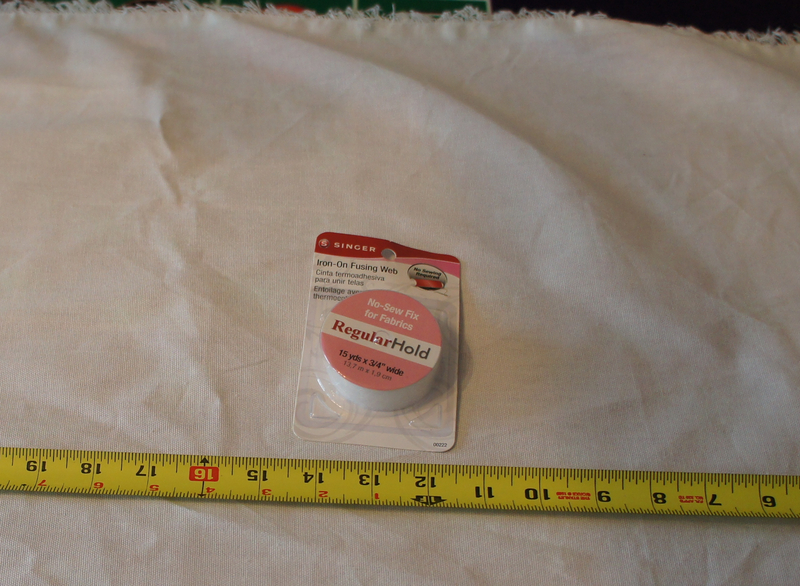 I added 4″ to our desired length for each panel, therefore cutting each piece of fabric 89″ long. 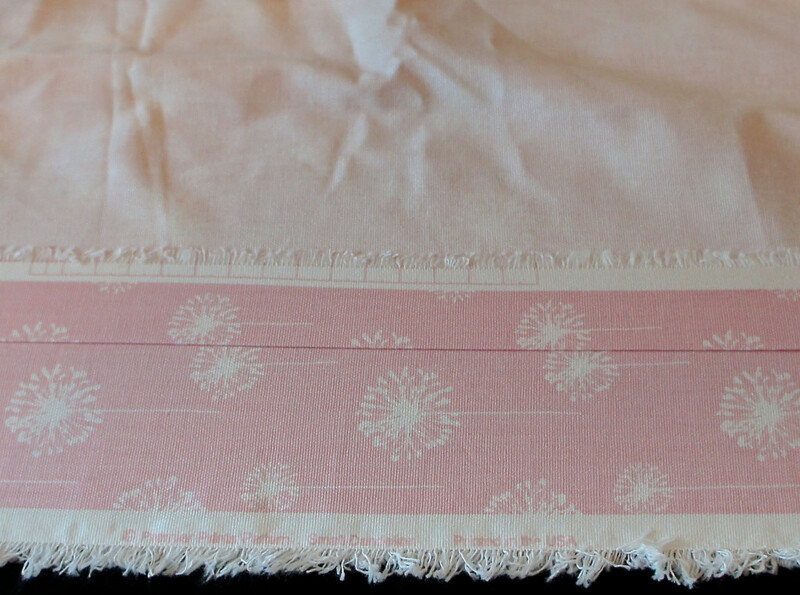 Then, laying it out lengthwise, I used iron-on fusing web (like Stitch Witch or Hem Tape) and rolled it out along either of the the long edges of my fabric. Then I just ironed per the directions to create a nice edge, and repeated that step on the other long end of the curtain. 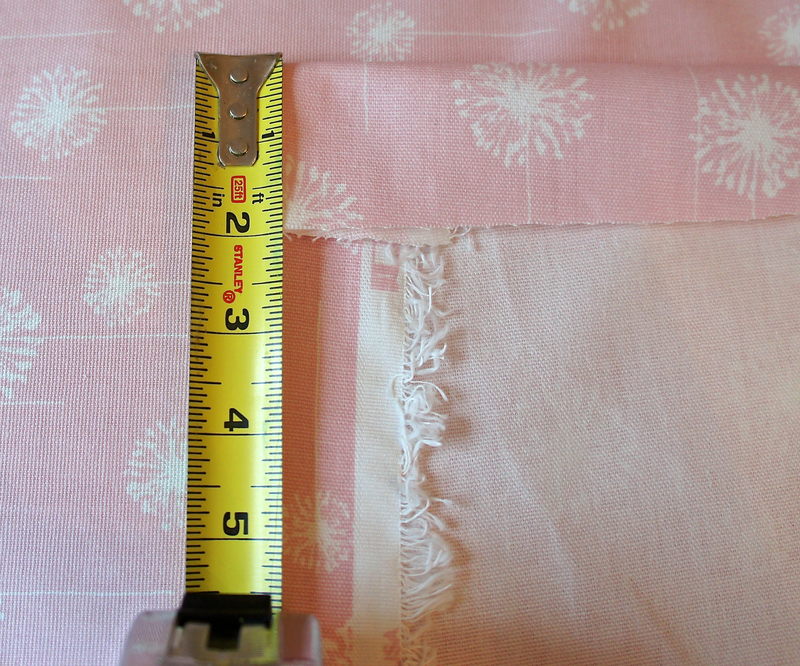 For the top and bottom of the curtain, I want my folds to be 2″ (which is why I added 4″ to the total length when I initially cut it at 89″). 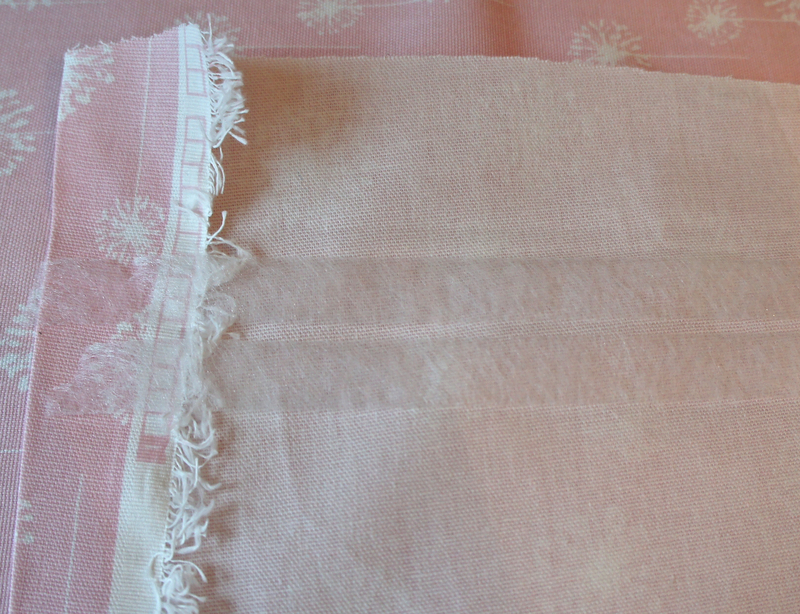 I then ironed the top and bottom edges the same way as the sides. Pretty simple, really. You just need a large workspace. I ironed the curtains really well and then hung them from the rings that were already on the rods. It’s definitely pink. The color looked much more toned down on my computer, which is the risk you take ordering this kind of stuff online. I’m thinking yellow or green would be good tones for a rug. Something a little less girly. They’re pretty, though, we’ve just been into trucks and dinosaurs for so long that this is going to take some getting used to. They look just as good as any of the $90 panels from Pottery Barn Kids, and cost a total of $24 apiece for 2.5 yards of fabric at $7 a yard and $7 package of curtain rings. Not too shabby for custom curtains.